Our crew’s sailing adventure is getting closer to its final destination – Croatia! After leaving Lipari they made their last stop in Italy. We calculated that it’s best for us to be at the northern entrance of the Messina Strait at 10.30 pm. 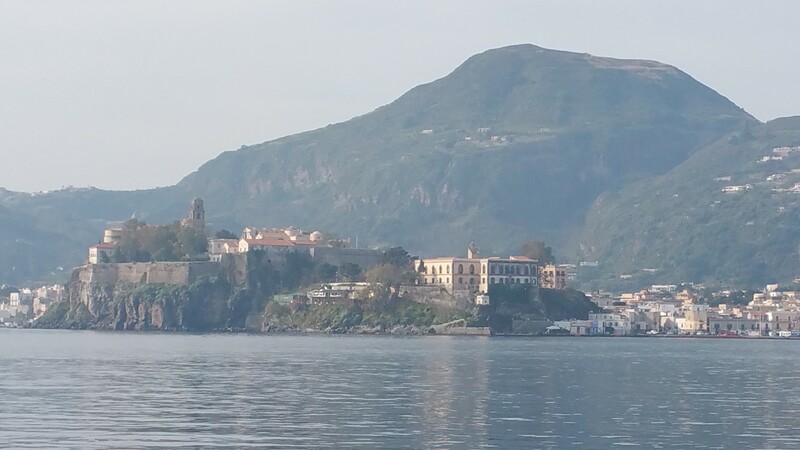 Therefore, we left Lipari at noon, but not before visiting the town of Lipari to buy some provisions, as the plan was to sail for two nights straight. In the afternoon, we had pork cutlets marinated with mustard and cooked butter potatoes with parsley after my mother’s recipe. We were able to sail until 8.30 pm, although very slowly. Then the wind increased again, but from the wrong direction. Shortly before the strait, we had gusts up to 22 knots and we put first reef. Immediately before entering we took the sails down, because the wind would be against us behind the cape, and I feared it would be stronger due to the narrow opening. But it wasn’t so. The wind weakened, and we proceeded in the western inner traffic zone through the strait. Some ferries and other big ships came very close to us, but everything went OK. One ferry in particular overtook us and then crossed some 50 m in front of our bow. At the end of the traffic separation scheme, we set the main sail and crossed the strait with one auxiliary engine. The rest of the night was relatively uneventful. In the morning, the sky was sunny with next to no clouds. Around noon we could stop the engine and sail with 10 to 12 knots breeze on the reach. 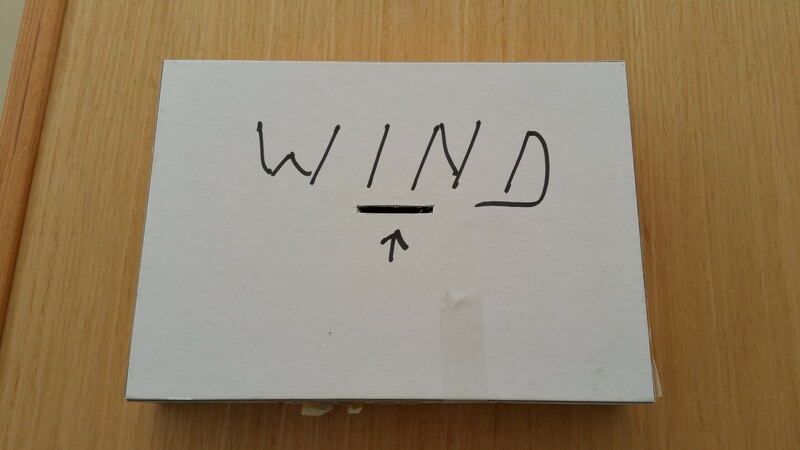 We created a „wind-penny-bank“, but I was the only one who spent 2 €, meaning there wasn’t much wind. At 4 pm, the wind died down again, so we started the engine again. The meal of the day was penne arrabbiata, and as dessert we had strawberries with whipped cream. At sunset, we took in our angling equipment. At the portside, there was a lure missing. Maybe a big fish took it. At 10.15 am, we arrived in Santa Maria di Leuca, which should be our last port in Italy. 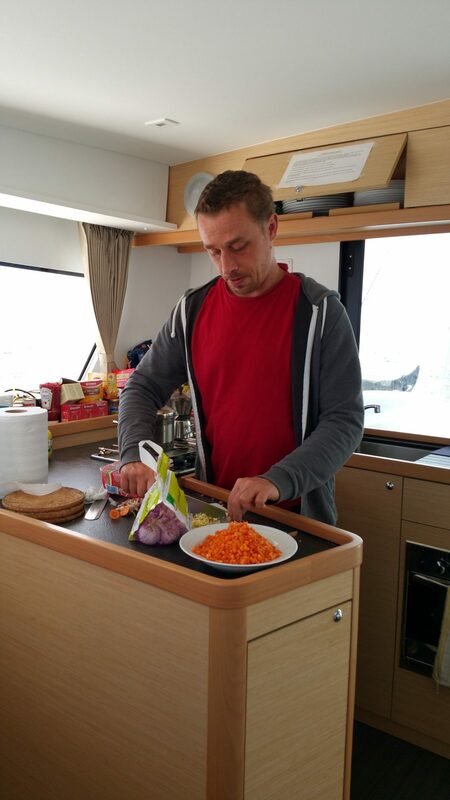 The crew enjoyed the shower facilities of the marina and went to town to do some sightseeing and shopping. In the evening, they ate at a restaurant. We left Santa Maria di Leuca at 10.20 and set sails soon after leaving the harbor. When we came out of the wind shadow of the land, we stopped the engine. The wind developed as the forecast predicted, so our strategy worked out. 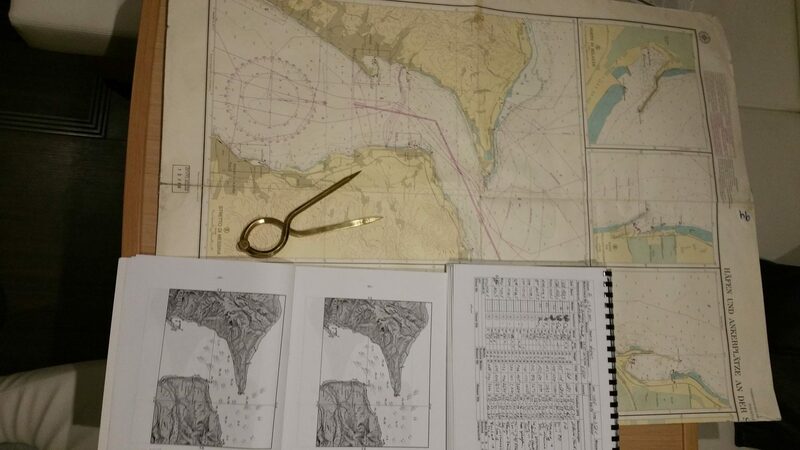 First, we sailed easterly to the sea border of Albania, and then we had to tack in the northern direction, but when the wind turned to the right, we could sail close upwind on one bow. Suddenly, we received an SMS saying: “Welcome to Greece!” The island Othonoi, the most northern Greek island, was in sight. The wind and the sea became more heavy, so we had to bind one reef, and the sea sate went up to 4 on Douglas scale. As we were sailing upwind, it wasn’t very comfortable for us. However, there were some sacrifices made to the god Neptune, and the whole boat was coated with salt from “HE” spray. It was a bright day with no clouds, and ‘till noon we also had a nice easterly wind. Unfortunately, the wind turned more to the north later, so we had to start to tack again. Again, we lost a lure from our fishing equipment. This time the carabiner broke. I don´t think it was by accident. We sailed more than 200 nm without starting the engine. Check out the eighth chapter of our story! Hello! I could have sworn I’ve visited your blog before but after going through a few of the articles I realized it’s new to me. Anyhow, I’m definitely happy I came across it and I’ll be bookmarking it and checking back regularly! Hi! We are glad to hear that!